Moog unveils The Moog Guitar - Model E1, the production model of The Moog Guitar introduced at the Summer NAMM tradeshow in 2008. It uses the same innovative electronics and pick-ups as the original Paul Vo Collector Edition, with some exciting new changes. 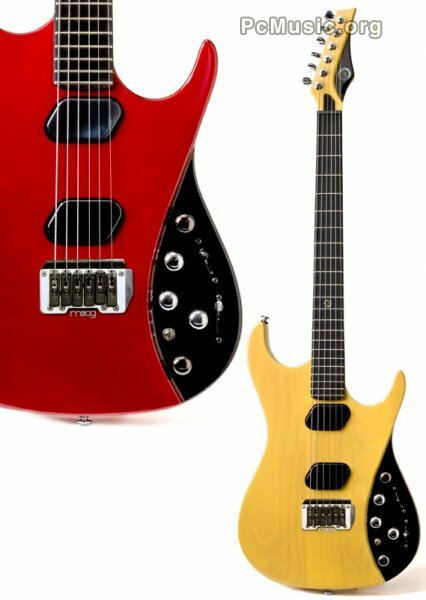 It's available in three new finishes; Butterscotch, Candy Red, and Black, and now sports chrome hardware, a solid alder body, a choice of fixed or tremolo bridges, and a new lower price tag, $3,495.